“Yumari is just one of the essential strands of the fabric of cultural survival in the Sierra, but a key one that is integral to so many others. It is not the song, the dance, the rhythm but the integration and mergence of that with the Onoruame, Nature and Community. This project is central to the continuation and re-vitalization of one of the most fundamental pre-Columbian rituals of the Raramuri, the practice of Yumari. 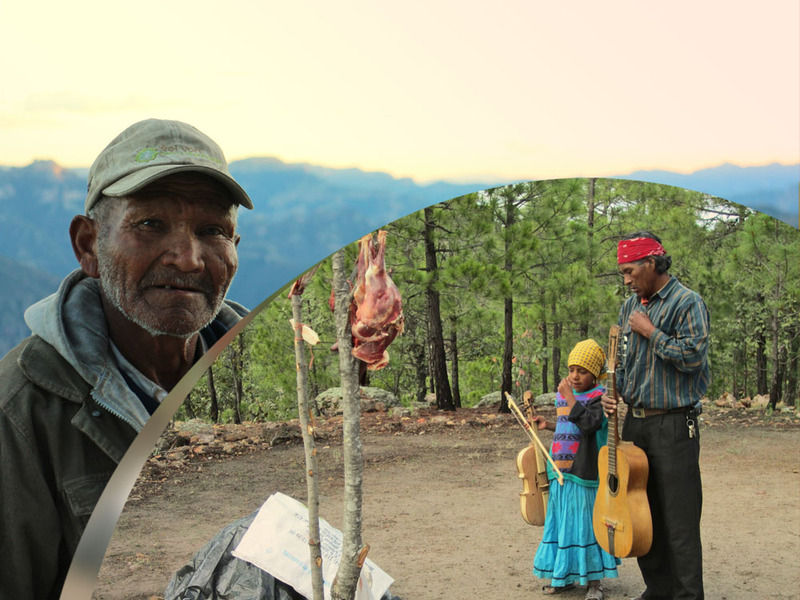 The Tarahumara Community of Mogotavo and Martin Chavez, aka “Makawi” will preserve this cultural practice for their communities. This project will reach out to four other communities to be included. This ritual is imperative to their fight for their culture and their community. The Tarahumara of Mogotavo struggle to save their lands from powerful tourism developers in Divisadero, Mexico’s famous Copper Canyon train station and overlook. They successfully resist forced relocation with help from a group of lawyers and advisors from Tierra Nativa. Yet the Tarahumara, or Raramuri as they call themselves, still face obstacles as a state and federal authorities have constructed a mechanized Adventure Park on their lands and push further their plans for development.